Are you up for this nationwide charitable challenge? If you need help getting started, download Martha’s Guide to Knitting — it’s the exclusive resource for knitters of all skill levels. The tiny caps benefit a greater cause: educating the community on Shaken Baby Syndrome as well as to remind parents and caretakers that the angst brought on by newborn's cries is cited as the number one trigger for the sudden often deadly syndrome. Why purple? The hats will act as a warm reminder to new parents about the "Period of Purple." According to the center, this is considered a period of time when infant crying increases beginning when babies are about two weeks old, peaking in the second month, and ending around the third to fifth month. Aside from supportive parenting methods, the center also offers advice. 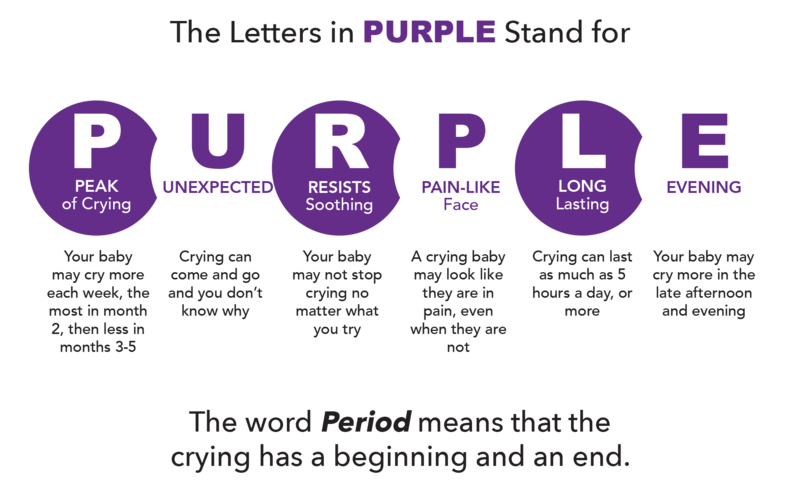 To make it easier, the center has created a useful acronym from the word, "purple" to further assist parents with their fussy baby. Volunteers who want to help with this cause can knit or crochet a soft-to-the-touch baby cap in purple yarn now up until September 31 to be donated in this year's cycle. After October 1, throughout November and December, birthing centers will send each newborn home with a purple knit hat. So pick up your needles and a skein of purple yarn to knit a baby hat.